Joyce Meader is a historical knitting expert who owns a very extensive collection of commercially printed knitting patterns. Her collection ranges from the 1817 to the present day. These patterns have been put to good use. 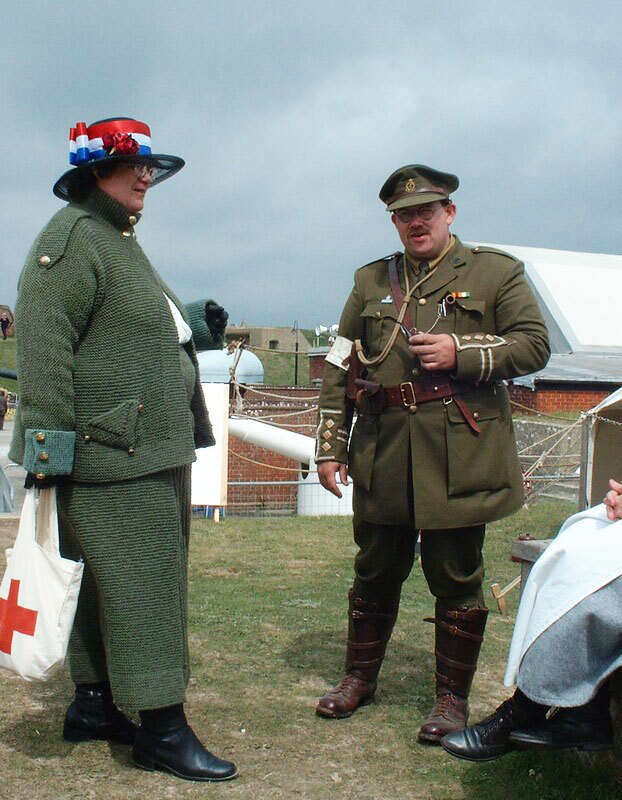 They are used to recreate items for re-enactors, museums and private clients. Examples of the places that have asked for knitted items from Joyce include The National Army Museum Chelsea, Museum of Army Flying Middle Wallop and the Mountain Heritage Trust Mallory Collection. Joyce’s talk ‘Knitted Comforts from the Crimea to the Modern Day’ has been presented to groups ranging from local WI, TWG, the Western Front Association, and to other knitting groups. Joyce’s presentation style is both entertaining and informative and can be tailored to suit the detailed interest of different groups. Joyce also gives lectures on the History of Commercially Printed Knitting Patterns from 1800 to the Present Day. As well as being of general hobby interest this is very useful for reminiscence therapy groups. Joyce will be one of the speakers at the Alderney Literary Festival where she will be speaking alongside authors covering the whole spectrum of historical writing, from biographies to histories, historical fiction to historical fantasy.